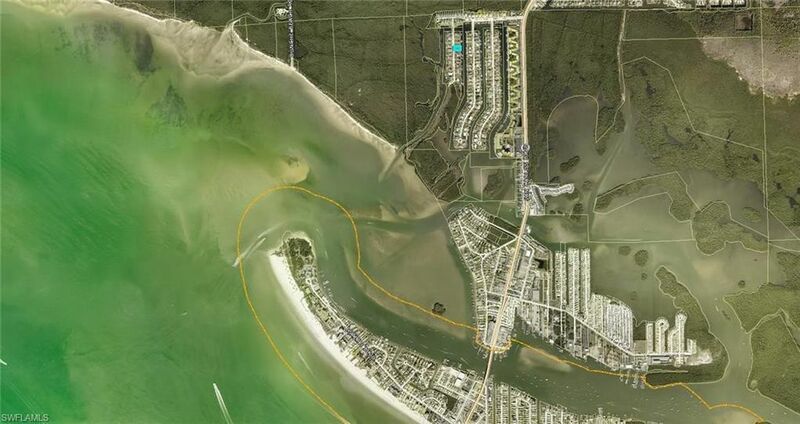 GULF ACCESS LOT AVAILABLE in the AREA'S BEST SAILBOAT AND LARGE POWERBOAT UNRESTRICTED GULF ACCESS...Just One Mile off Estero Island for maximum storm protection. ...Build your custom home in this Exclusive Million $ ++ homes Gated neighborhood... Available now is this Oversized Large Premium Waterfront lot (79' X 140' ) in the Exclusive and Gated Community of Old Pelican Bay in Siesta Isles, just 1 mile to Gulf and Beaches. Custom Builder available and ready to build your new custom home among modern million dollar homes in this gated community. Just look at a map to see how great this location is. There is Wildlife galore ... Manatee, Dolphins, Eagles, Osprey, and of course Pelicans, and so many more live here. Awesome protected location for your big boat or small, Kayak from your own canal to many miles of tunneled mangrove trails, or fish in the many hidden back bay coves..... deep and wide water, no bridges, less than 10 minutes by boat to the Gulf of Mexico and north end of Fort Myers Beach. Ready for you to build your dream home here ! Call for Gate Code and see it today.